I am horrible at keeping secrets. And yet there has been a happy little nugget of news that I’ve been sitting on for a while. No, not THAT kind of news. Geez. Remember earlier this year when I shared with you the first rate experience I had down in Louisville as a guest of GE at their Experience Center? Mais non? Well then clicky here. I came home from that trip thinking that in our next house, whenever that may happen, it would be nice to incorporate the Advantium technology into the kitchen. And then life kept rolling along and took my mind off of the serious case of Advantium envy that came home with me from the great state of Kentucky. Now fast forward a few months. Out of the blue, the folks at GE reached out to me wanting to know if I would be interested in helping them tell the Advantium story. Would I want to receive an Advantium of my very own to use and then talk about it here on the blog? That was like asking me “does butter taste good?”. I had someone ask if it felt like I was selling out by agreeing to collaborate with GE on this project. And I thought it was a legitimate question. My answer was “no”, and here’s why…I already use GE appliances. I am already one of their consumers. Heck, if it weren’t for GE and their 18 inch dishwasher, The Mistah and I would still be in handwashing hell in our ridiculously small kitchen. 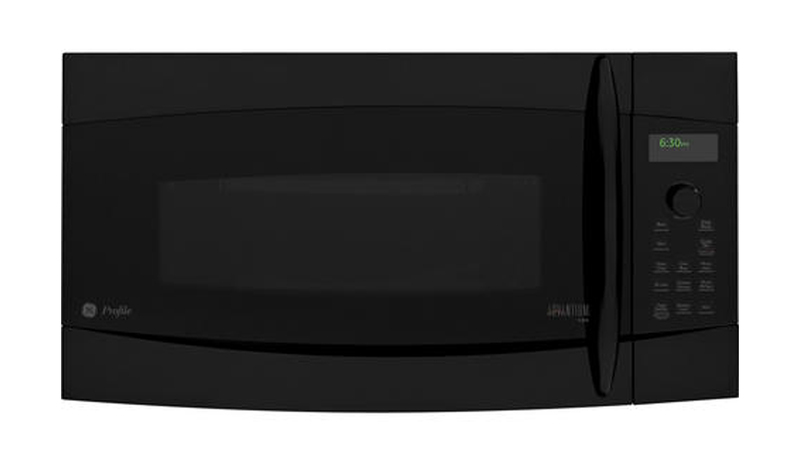 When I had the choice of what brand appliances I would purchase for our kitchen, I chose GE. Another reason I didn’t feel like this was a case of selling out is because GE is not dictating the content of my posts. They are providing me with the product but I am not being told what to say about my experience with it. If you’ve followed my kitchen adventures for a while, you know that I talk about failures as much as I do successes. Frankly, the Advantium is going to challenge me as I learn to harness the power of Speed Cooking and Convection. I expect that there’s going to be bumps in the road…and I won’t gloss over them and pretend that they don’t exist. But I also expect that this tool is going to help me do more when it comes to cooking. I’m not sidestepping the fact that companies are in business to promote and sell their products. That’s what businesses do. And as customers, it is up to each of us to make the best, most informed decision of how to spend our consumer dollars. So by hearing me talk about being able to roast a chicken for a Tuesday night meal instead of reheating leftovers from the weekend, you may decide that this product is right for you. Or you might decide that it’s not. I’m not here to tell you that your life will magically become picture perfect because you can cook, bake, microwave, and warm in a single appliance. What I am here to do is share my real experiences of using the Advantium product. I have an opportunity to be part of the conversation. Is it flattering to have a company single me out and say “we like what you’re doing, what you represent, and we’d like to have you help tell our story”? Absolutely. It is hugely validating. But it is also a responsibility that I take very seriously. That’s why I chose to publicly state my reasons for deciding to partner with GE on this project instead of merely including a disclaimer on each Advantium post stating that I have been provided with the product but that the opinions expressed are my own. Am I beyond excited to have this opportunity? Am I looking forward to the adventure that is about to unfold in my kitchen? Again, that’s like asking me “does butter taste good?”. I can’t wait to read all about your new adventures in the kitchen! Looking forward to reading your Advantium adventures! Megan, thank you for trusting me to help tell the Advantium story. It’s a huge honor. You are the perfect choice, Wendi! Good for you! Nothing like having fun with a “new toy” in the kitchen and the ideas that come with it! Especially when it is a brand you already trust. Colleen, I’m thrilled to be working with GE and to have the chance to learn how to harness the power of Advantium. as stated in our inspired dinner: JEALOUS. Shell, fortunately the Advantium fit perfectly into the spot above the stove where our previous microwave had lived. The very first thing I cooked in it was the filet that they demo’d for us. It was fantastic. I’ve seen that Advantium in Action, and I’m jealous! Beth, you know what I discovered?? ?� The Warm setting holds my empty canning jars at a perfect temp.� Who freaking knew? Whoa! What an awesome opportunity, and how fun that we’ll get to read all about your experiences! And of course you’re not selling out! You blog with honesty, and I’m sure that won’t stop just because you’re posting about their appliance. Jenna, I’m accountable to everyone, including myself, so I always try and be honest and authentic.� So glad that comes through. Super cool. So glad the universe saw fit to provide someone as deserving as you with this opportunity. Jennifer, I would be lying if I said that I didn’t think I had some goodwill from the Universe coming my way.